The poverty reality in London is heartbreaking and the statistics shocking. 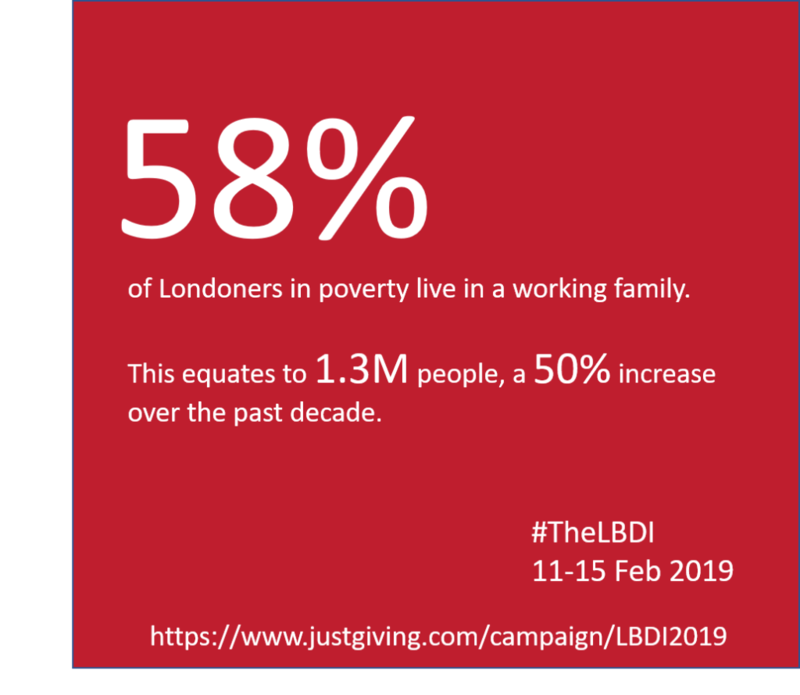 The LBDI campaign raises visibility on these issues while raising funds to support community initiatives that work to fight the effects of poverty. For the week of 11-15 February, many of our members will wear the same black dress for 5 consecutive days, sharing stories across social media to raise funds. This is our 6th year running the campaign and to date, we have raised over £100K for the London community!